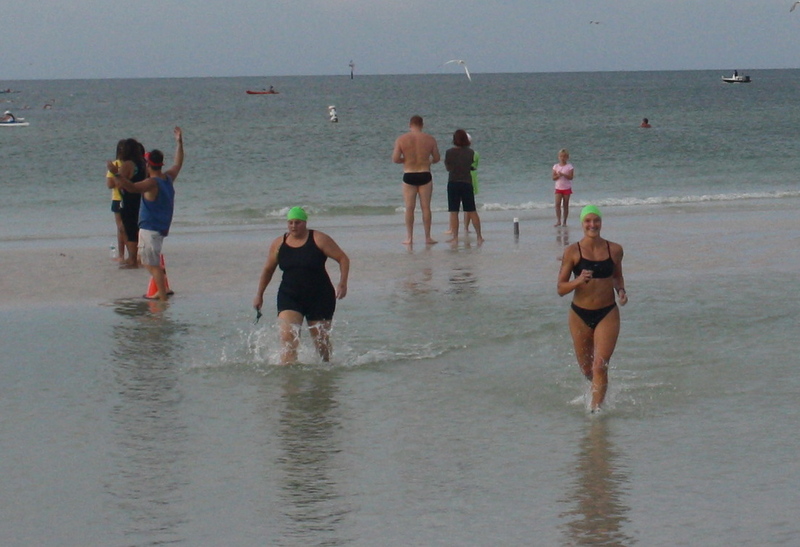 This is my perception of what happened in the last hundred yards or so of the Daiquiri Deck Tropical Splash Open Water Swim last Saturday: I spotted another 2.5K swimmer ahead of me, and tried to turn on the finishing “kick” I almost always have deep within me at the end of open-water swims. 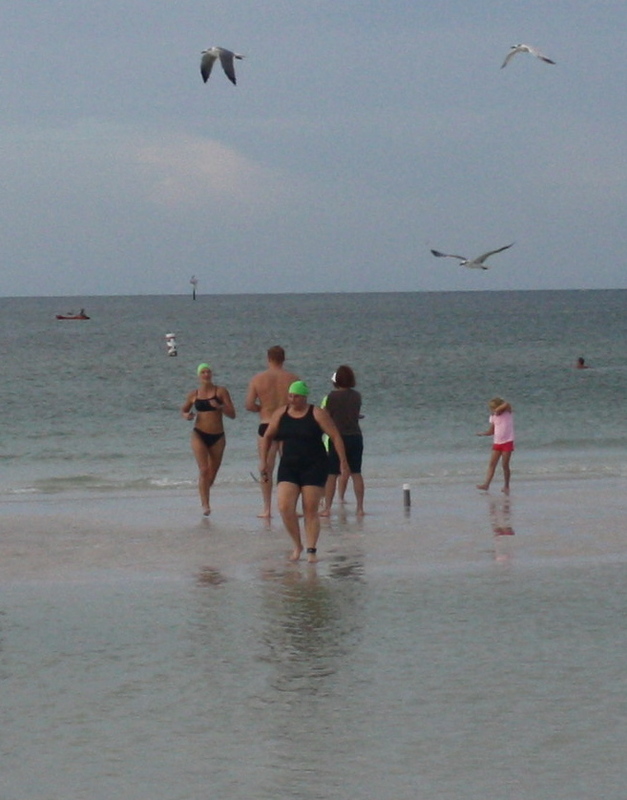 I had no such kick, and the swimmer in front of me totally out-swam me. 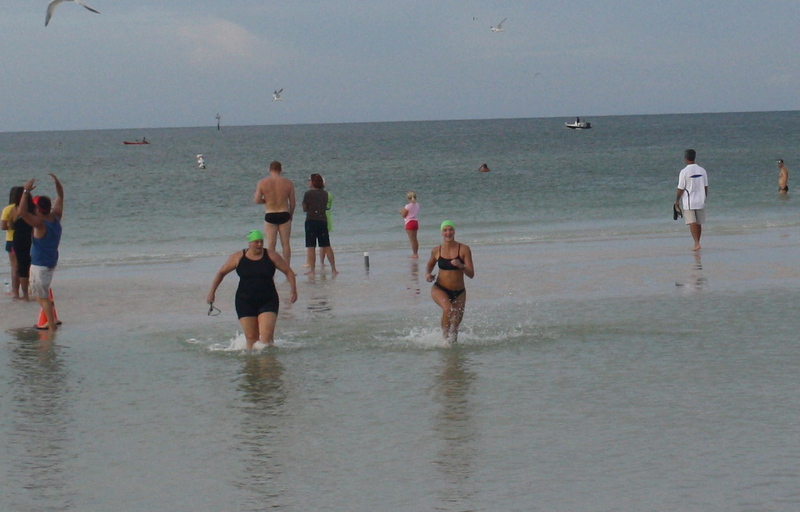 But when we reached shore, I quickly, gracefully sprinted ahead to the finish line as she walked to catch her breath. 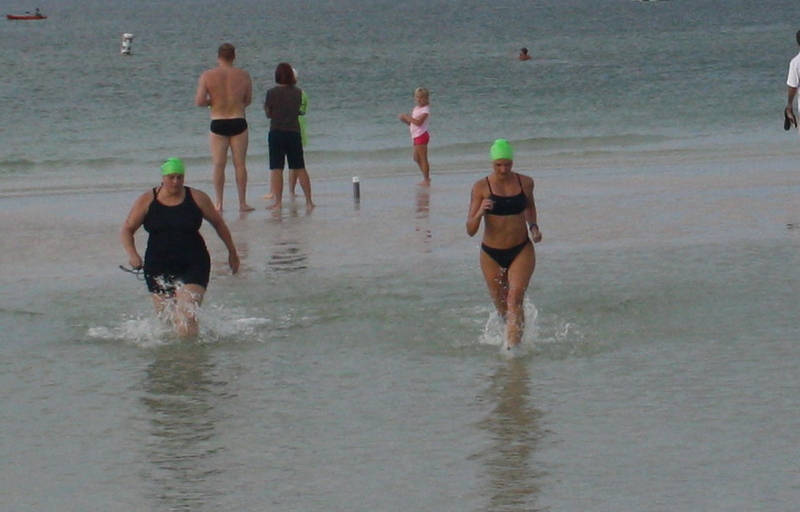 Running fast and strong as I come out of the water. I’m grinning like I’m winning the Olympics, while barely moving forward. Hey, I’m making progress (though it still looks like I’m casually jogging on the beach)! But what am I looking at over to the side? 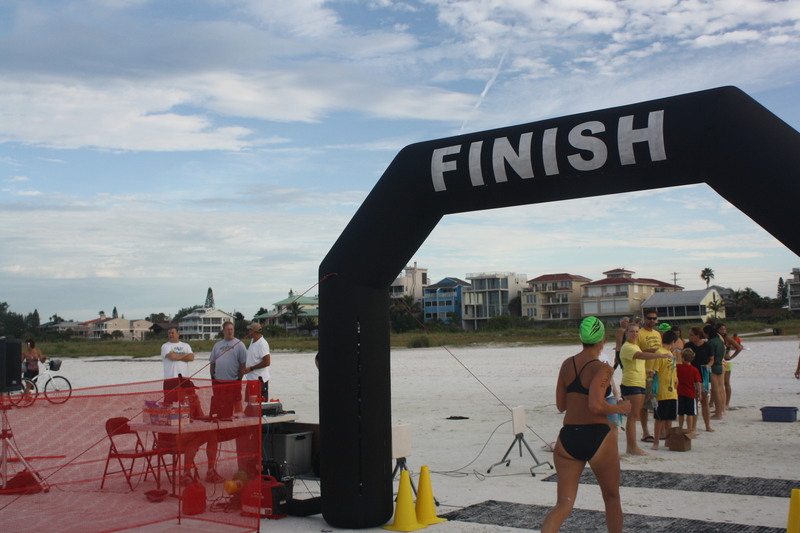 Oh, right: I’m looking at the guy who was actually jogging on the beach THROUGH THE MIDDLE OF OUR FINISH CHUTE. He looks like he’s going considerably faster than me. 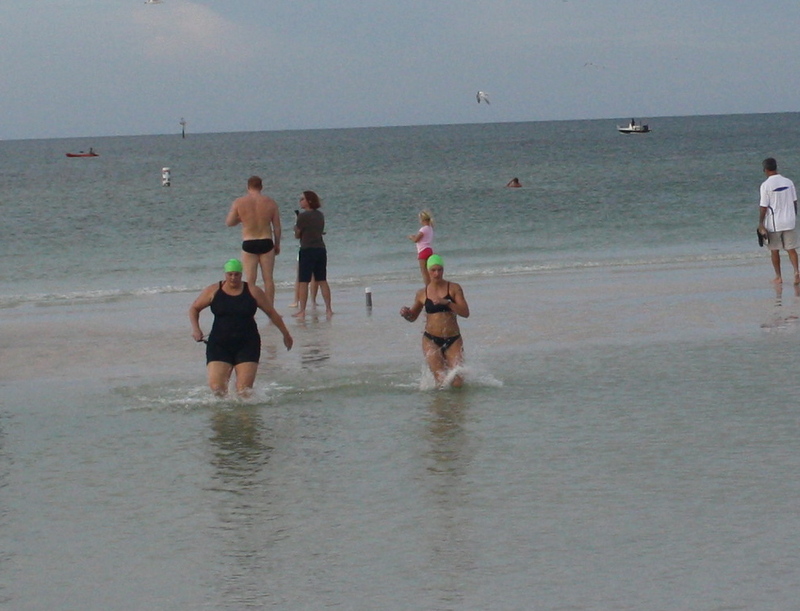 I did, eventually, make it to the finish line (whew!). Race photos are funny, aren’t they?